Print is dead – right? That tends to be the received wisdom when considering the future of the news industry. 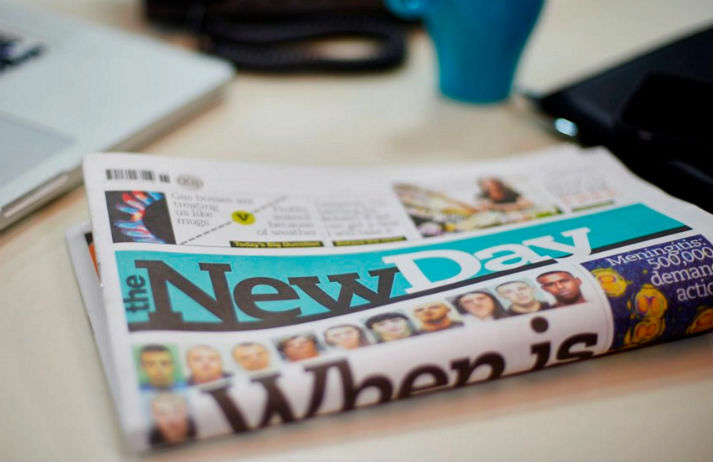 But where some see defeat, others spy an opportunity – and for The New Day, which is a brand new UK daily, it’s not the medium that’s broken, it’s the message. A grinning LL Cool J stands in front of a red backdrop, with headlines like ‘Confessions of a smartphone thief’ and ‘Big or bigger? Which iPhone 6 is the right fit?’ drifting in the foreground. This is the face of online tech outlet CNET’s first foray into print publishing. Reading online is great, but it can shred attention spans. Those fascinating longreads too often end up languishing in bookmarks folders. With PaperLater you can save pieces that catch your eye, and have them posted to you as a beautiful, personalised broadsheet.